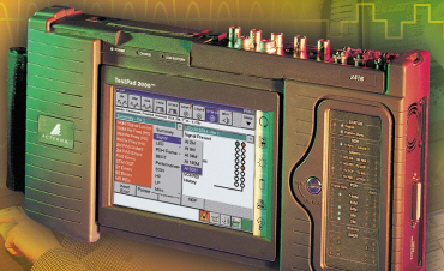 TTC Acterna JDSU Comm Analyzer w/ Color display for testing DS1, DS3, STS-1, OC-3. The 2310 SONET Field Services Module is an all-in-one integrated testing solution that performs multi-rate transmission testing from DS0 to OC-48/48c and supports physical layer and enhanced services testing at different network rates. Its modular architecture protects your long-term investment by providing the flexibility, scalability, and field upgradability to support evolving test needs.